I remember going on informational interviews with established freelancers when I first started freelancing. We’d talk about networking, finding a niche, and the realities of the freelance market. Money is a sticky subject. People become instantly uncomfortable when the topic comes up, and that makes it difficult to get straight answers and good advice. With that lead-in, you’re probably expecting me to tell you what to charge. I can’t. I’m sorry. That’s because I don’t know what services you’re offering, and I don’t know what kind of experience and qualifications you have to offer. 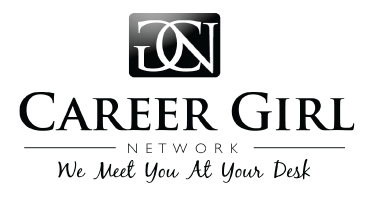 I will tell you that you need to think about what you want to earn in a year in order to make it a viable career for you. Divide that number by 52 weeks (or 50 if you’re planning a big vacation — remember, you don’t get paid time off as a freelancer). Divide that number by the number of hours you expect to be billable each week. You will WORK a lot more than you will be BILLABLE. You’ll spend a lot of time on accounting, business development, organizing, and general business maintenance. If you only want to work 40 hours per week, you can easily spend half of that non-billable. Just because you PLAN to be billable 20 hours per week doesn’t mean that you will have enough work to do so — especially right away. If you want to make $100K per year and be billable 20 hours per week, you have to charge almost $100 an hour, and that assumes that you’ll be billable 20 hours every single week. It’s hard to justify $200 per hour simply because you think you’ll only be able to find 10 hours per week of work. If you want to make $50K per year and think you can be billable 30 hours per week, you only need to charge $32 per hour — but remember that you’ll be working a lot more than 30 hours per week in order to pull it off. The market dictates your rate to a certain extent. Once you pick a rate, you’ll be able to test how potential clients react to it. You can always negotiate or change your rate if you find that everyone balks at it. Sometimes you’ll be able to win them over with your dazzling skills, and sometimes you won’t. That’s okay. You’re not for everyone. I’ll say it again: you’re not for everyone. You don’t WANT to be for everyone. Please don’t be tempted to lowball your rate simply because you’re worried that people won’t like what you’re charging. There are very popular freelance websites that pay $15 for a full completed online article. It might take you two hours to secure, research, write, edit, and submit that article. Do you really want to make $7.50 per hour before taxes? Sure, it’s better than nothing, but perhaps that time is better spent brushing up your skills and/or working on business development in order to secure clients willing to truly value your skills. Smart companies know that you pay for what you get. If you charge $70 to write a blog post but that blog post brings in $250 worth of new work for the client, you’ve created value for BOTH sides. The more value I create, the more valuable I am as a writer. Now go be valuable. And make some money while you’re at it. Ellen Hunter Gans is a freelance writer and communications strategist. She's also a marathon runner, an Ironman triathlete, a wildly untalented cross-country skier, a newly minted Crossfit junkie, a yoga devotee, a wannabe culinary genius, a voracious reader, a grammar snob, a world traveler, an outdoorswoman, an oenophile, a mediocre gardener, and a secret fan of awful television. Her blog is at www.lifeinreviews.com, and her business website is at www.wordcoutureconsulting.com.